North Dallas, Richardson, Garland, Plano, Frisco, McKinney, Allen, Sachse, Wylie, Rockwall. 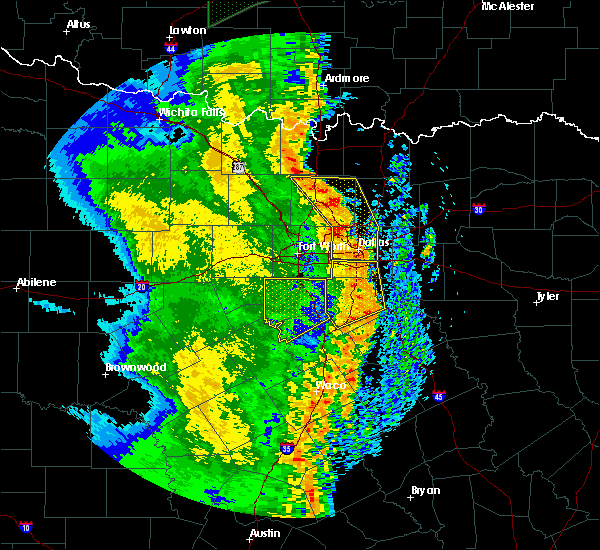 Large hail and strong winds blew through North Texas during Monday evening and early Tuesday morning. Severe Thunderstorm Warnings were issued Monday evening and early Tuesday morning. If your roof is damaged in a severe weather event or other unexpected disaster – call us for repairs any time, 24 hours/day. Our services include roof repair, roof stabilization (protection from further water damage) and roof replacement. 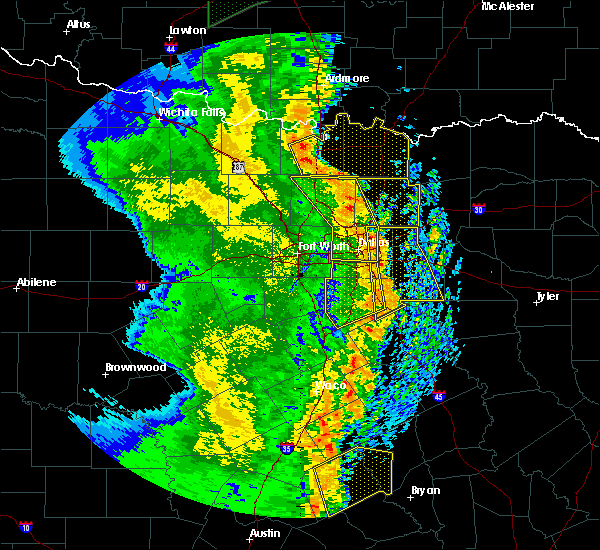 At 2:52 am cdt, a severe thunderstorm was located over Mckinney, moving east at 40 mph (radar indicated). Hazards include 60 mph wind gusts and nickel size hail. Expect damage to roofs, siding, and trees. this severe thunderstorm will be near, Lucas around 2:55 am cdt. lowry crossing around 300 am cdt. Princeton around 305 am cdt. Farmersville around 3:15 am cdt. other locations impacted by this severe thunderstorm include Melissa, Westminster, Weston, St. Paul, Blue Ridge, Josephine, New Hope, Lavon and Nevada. 3/29/2017 2:43 AM CDT At 2:42 am cdt, severe thunderstorms were located along a line extending from sanger to cockrell hill, moving northeast at 50 mph (radar indicated). Hazards include 65 mph wind gusts and nickel size hail. Expect damage to roofs, siding, and trees. these severe storms will be near, university park, highland park and ray roberts park isle du bois around 250 am cdt. pilot point and aubrey around 255 am cdt. mesquite around 300 am cdt. 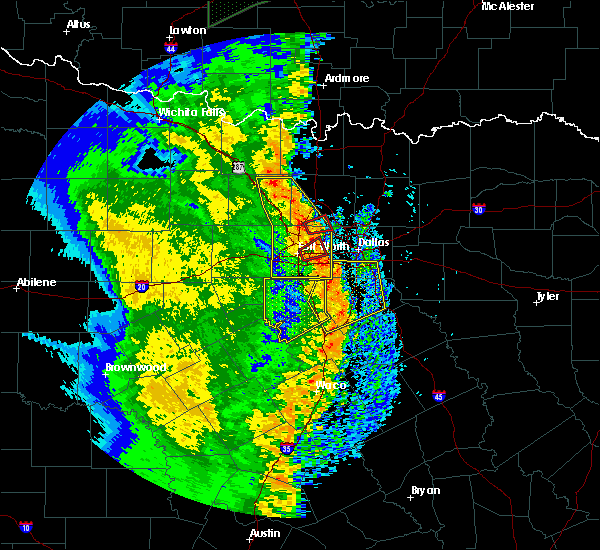 dallas around 310 am cdt. Other locations impacted by these severe thunderstorms include oak point, lincoln park, buckingham and lakewood village. 3/29/2017 2:26 AM CDT At 2:25 am cdt, severe thunderstorms were located along a line extending from ponder to near mansfield, moving northeast at 40 mph (radar indicated). Hazards include 65 mph wind gusts and nickel size hail. Expect damage to roofs, siding, and trees. 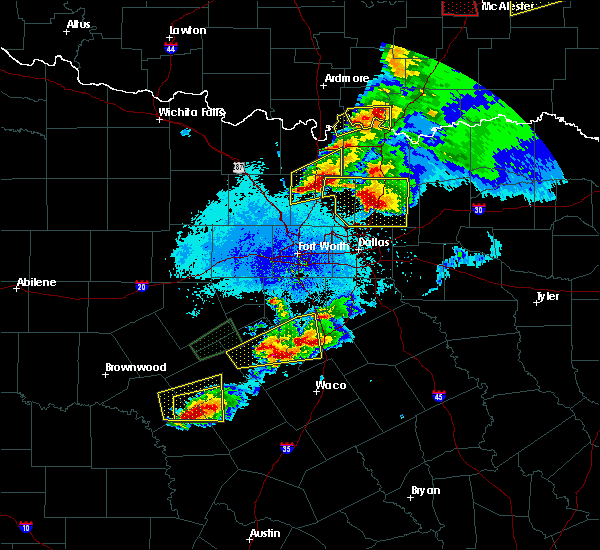 severe thunderstorms will be near, sanger around 245 am cdt. cockrell hill around 250 am cdt. mesquite around 315 am cdt. other locations impacted by these severe thunderstorms include oak point, lincoln park, buckingham and lakewood village. this includes the following interstates, interstate 35 between mile markers 468 and 481. interstate 30 between mile markers 32 and 55. Interstate 45 between mile markers 279 and 284. 3/26/2017 8:48 PM CDT At 8:47 pm cdt, a severe thunderstorm was located over mckinney, moving east at 30 mph (radar indicated). Hazards include tennis ball size hail and 65 mph wind gusts. People and animals outdoors will be injured. expect hail damage to roofs, siding, windows, and vehicles. expect wind damage to roofs, siding, and trees. this severe storm will be near, princeton around 910 pm cdt. farmersville around 925 pm cdt. other locations impacted by this severe thunderstorm include melissa, westminster, blue ridge, new hope and weston. A tornado watch remains in effect until 1100 pm cdt for north central texas.